Nothing compares to checking the calendar and realizing a three-day weekend is approaching. It is one extra day to sleep in, put off homework and avoid responsibilities before snapping back to reality and starting another busy week full of school and work. Monday is a national holiday honoring not only the life and accomplishments of Martin Luther King Jr., but everything that he stood for. It is a day dedicated to promoting the equality of all people regardless of race, ethnicity, culture or background, yet people fail to acknowledge that this day is actually dedicated to his service. 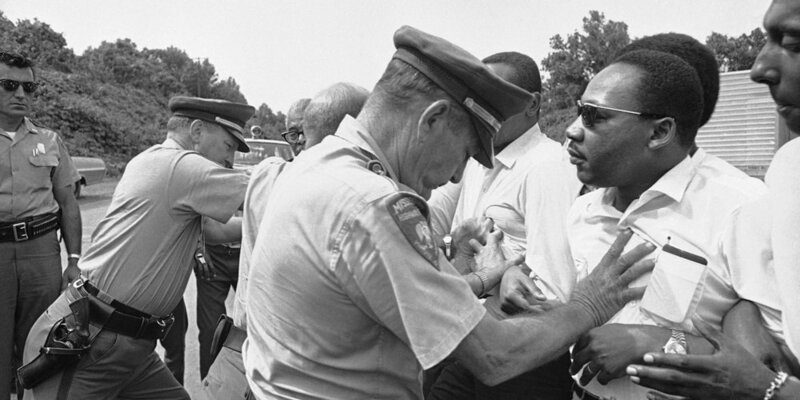 Shortly after King’s death, Congress passed the Civil Rights Act of 1968. A few days after that, a bill was introduced to make MLK’s birthday a national holiday. It took 15 years for the bill to be signed into a law. Many believe this was because of the hatred and racism that plagues our country. For some, it may just be another day off of work, but for Illinois State’s Center for Community Engagement and Service Learning, it is a day on. Graduate assistant for community service projects Paige Buschman thinks that this day is an opportunity for America to show that leadership and change can come in the form of something other than political action in the Senate and Congress, it can come from everyday people. “MLK was not particularly different than any one of us. I think he was just compelled to do something because he saw hate and injustice in the world and I think that’s just something everyone can learn from. The fact that we have a day off to, I think, reflect on that is so important,” Buschman said. She believes that this should be a day of learning and reflecting on how to move forward around issues of injustice in our country and that everyone should be thinking about non-violence, political action and engagement and civic engagement. “That is very much at the core of what we do here at the center, but I think it’s something that everyone can benefit from,” Buschman continued. This year the center will be honoring this day of service by sorting through donations to find items to be sold at Home Sweet Home Ministries’ thrift store, Mission Mart. Home Sweet Home Ministries is a local, non-profit organization that provides shelter, rehousing and food services, among other things, to those in need in the Bloomington-Normal community. Along with their service, those involved will be reflecting on the nature of their work because of the importance of this day. There will also be a presentation to connect to MLK’s mission. The center’s major objective is always to help students understand how to make a change through service. The Office of the President, University Housing, the student chapter of the NAACP and the Association of Residence Halls will host a cultural dinner on Jan. 25 honoring MLK and featuring Michael Eric Dyson. Assistant Director of Media Relations Rachel Hatch believes that this event blends very well with the idea of celebrating cultures that are part of the university experience. What better way to celebrate a man who was dedicated to his community and sacrificed his ability to make a profit than to give back to the community and offer service? Buschman also believes that in order to see social change, society needs to recognize that it is going to be through volunteerism, the giving of time and commitment to something that is not just about one’s job. “Services benefit everybody. It benefits people in the community and you as a person. I think that was at the center of MLK’s mission as well. I think that is partially why it was changed to a day of service rather than just being a day off where people don’t come into work and don’t think more about it. The idea is you should be taking this time to do something that you might not otherwise be able to do,” Buschman said. Although having a day off can be enticing, it is important to remember the sacrifice and struggle that MLK and millions of others faced to make a change. Instead of using this holiday as a day to relax and unwind, one may consider the significance of it and how everyone can play a part in making a difference by offering something that many people take for granted: time. “I think that Martin Luther King’s ideals are really basic to the core values at ISU. The ideas of respect, diversity, inclusion, collaboration, these are all things that Dr. King pushed for. His life embodies that drive for civil rights and I think that it fits very well with ISU to celebrate that,” Hatch said.